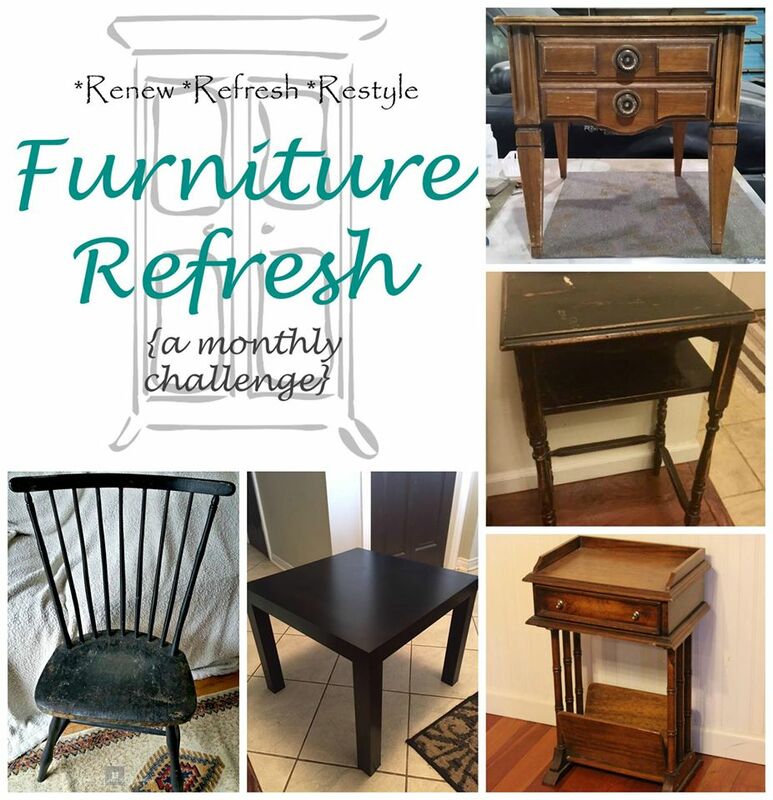 We’re back again this month with another fun furniture flip for the *Renew*Refresh*Restyle* Challenge. This monthly feature is where some talented bloggers team up to show you how we transformed a piece of furniture into something new and pretty. 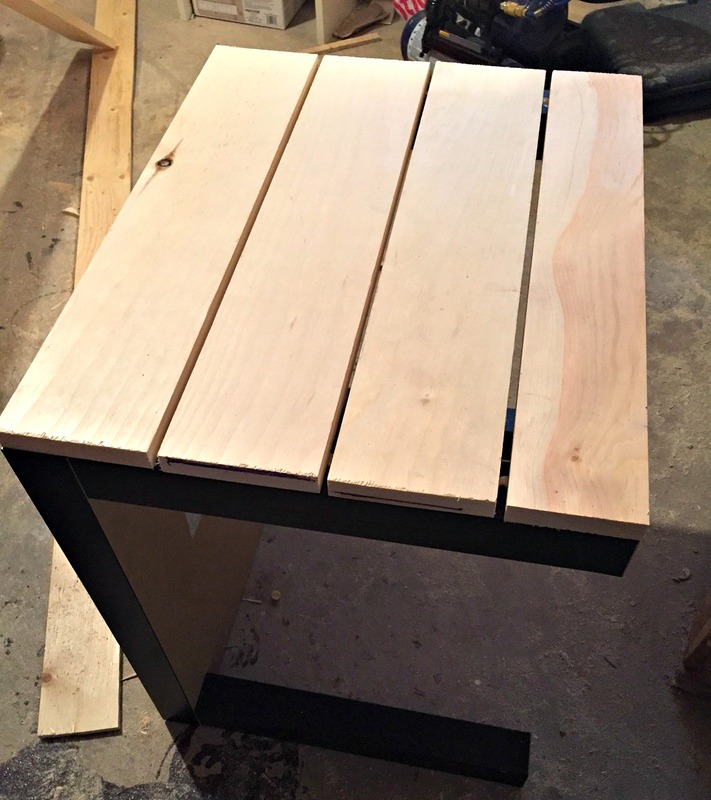 For my furniture flip, I did something CRAZY and I’m going to show you how I turned an Ikea side table into a Christmas tree base. 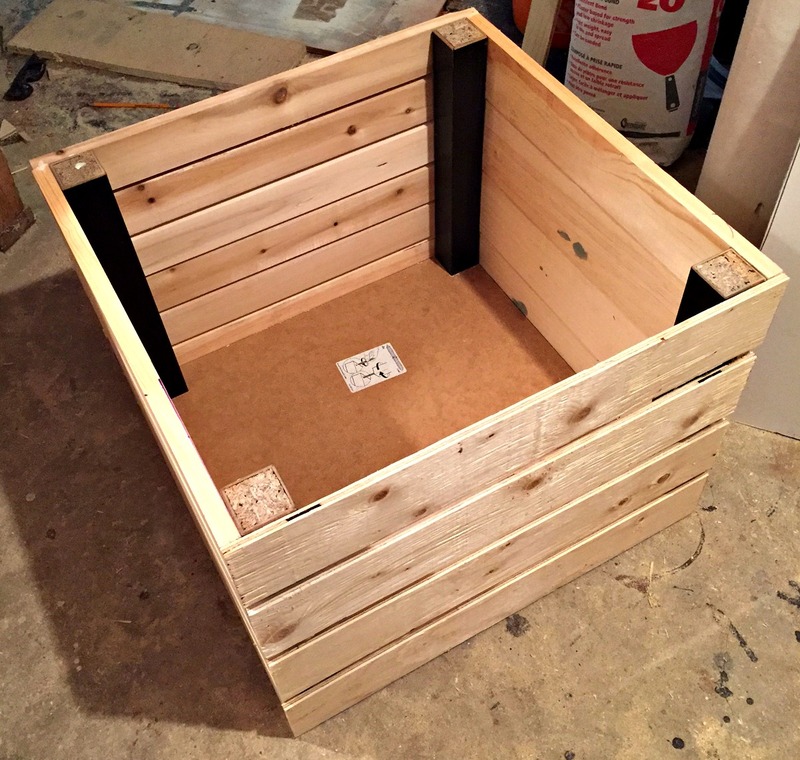 I really wanted it to look like an old shipping crate, and the cost of these wooden crates was beyond my budget. So, my only option was to figure out how to DIY it. 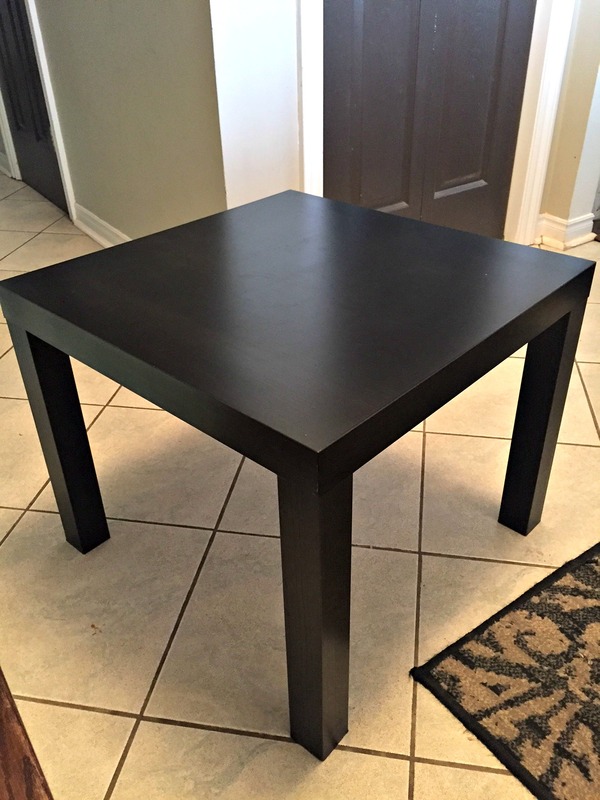 I started with looking on my local buy and sell group and found this $5 Ikea Lack table. The seller delivered it, and I got started on it right away. 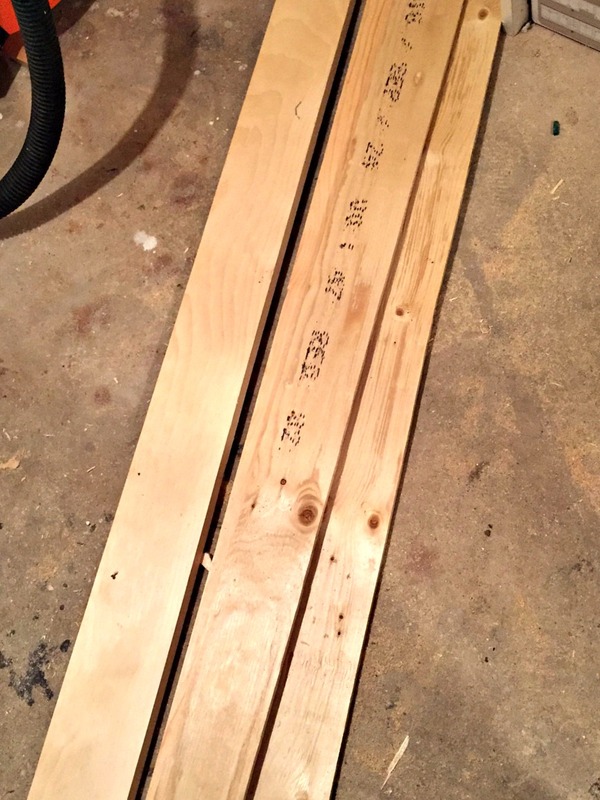 I had some scrap wood left over from my recent fireplace project, and since I was determined to keep costs very low, I used the different sizes I had. 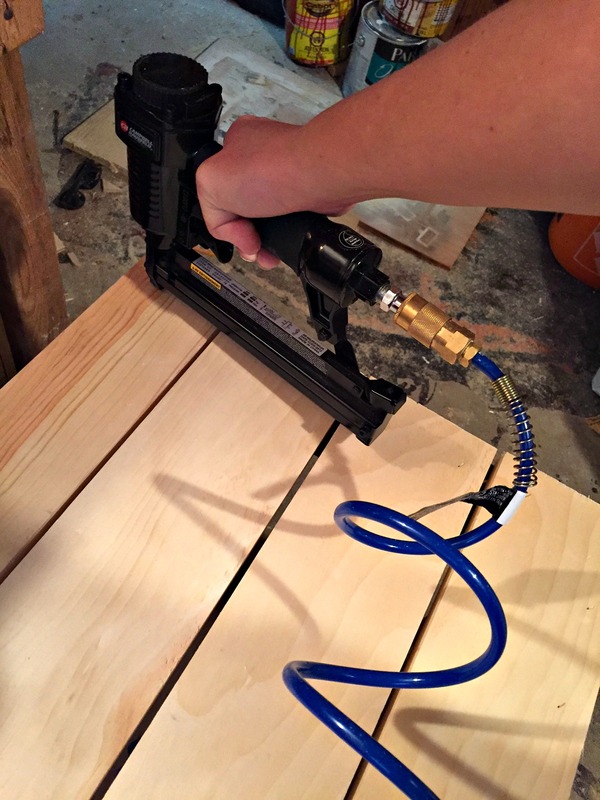 I started by flipping the table upside down and I used wood glue on the legs before securing the wooden slats in place with a nailgun. I continued this same process all the way around the table. Once all the slats were in place, I painted the whole thing white using some paint I had lying around. I thought about how fun it would be to make the crate look like it had been shipped from the North Pole. 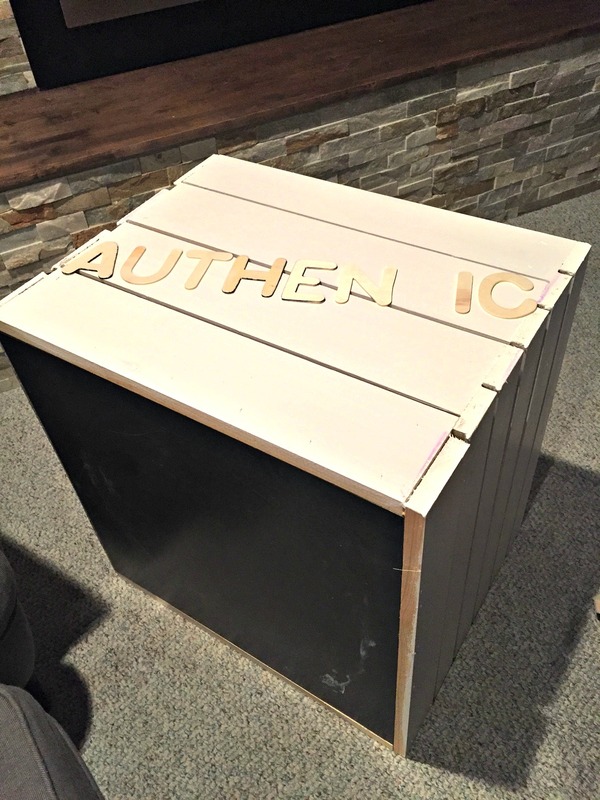 I stenciled different things on the front of the crate, and I chose something wholly ridiculous to be shipped (SNOW….lol) because I’m quirky like that. 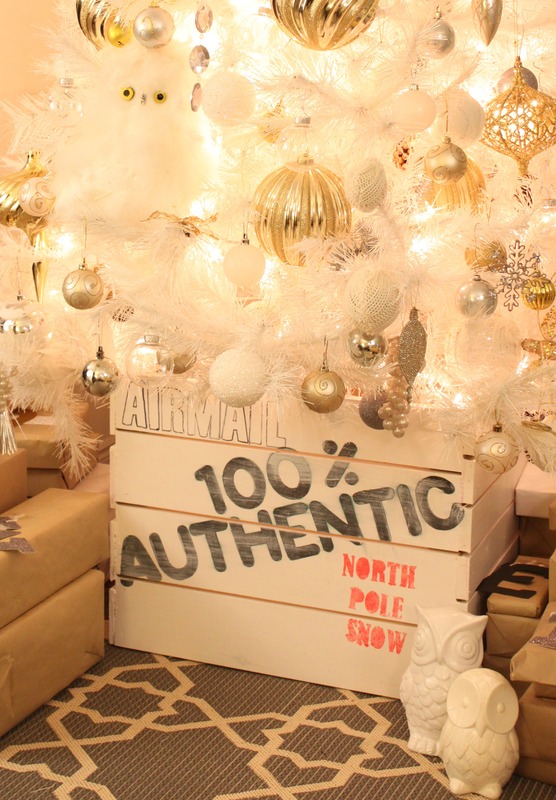 The last step was simply setting up the tree inside the wooden crate. I love that I can use it as a decorative base for my Christmas tree and once the holidays are over, it can double as a place to store Christmas decorations. 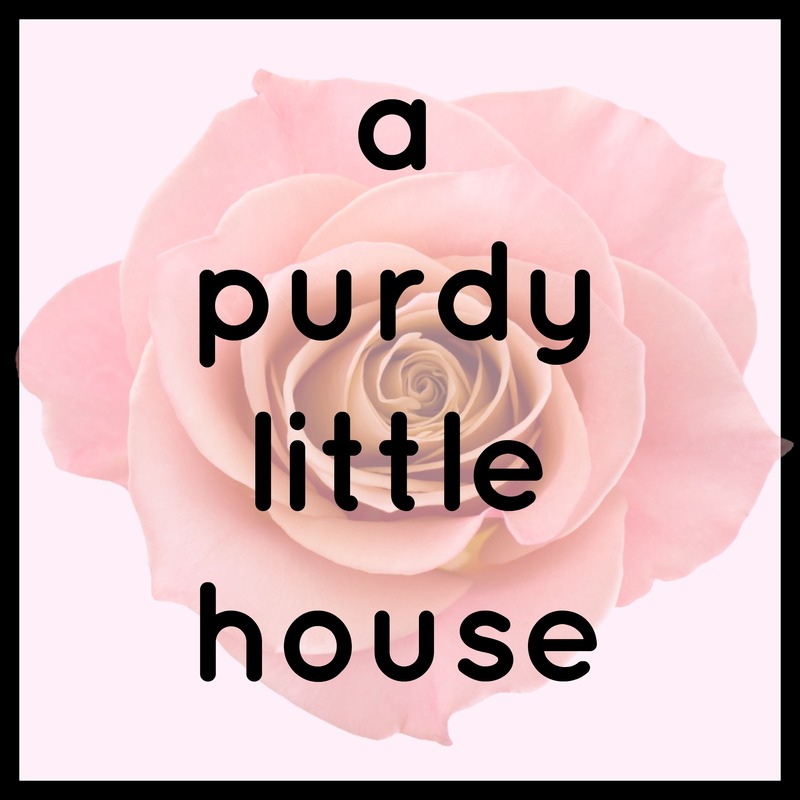 Please be sure to check out all the wonderful projects from my blogging friends below to see how they transformed their pieces. This is absolutely fantastic! 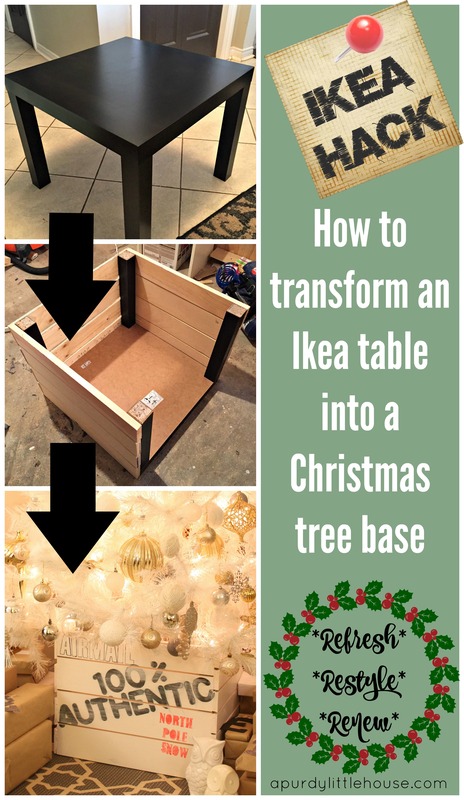 One of the best IKEA hacks 🙂 And such a beautiful tree too!! Oh my gosh!! What a fantastic idea, Sue! 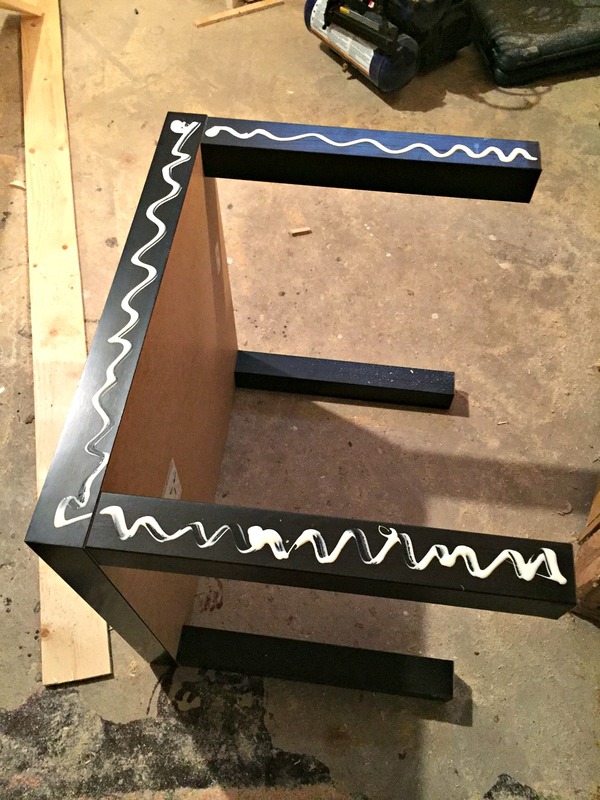 It looks strong and sturdy, and the stencils add a nice touch to the whole look. Well done, my friend! This is the best. I love the entire thing but my favorite part is the shipping stencils on the front. Way too fun. Sue, your creativity blow me away every month! This is so cool! 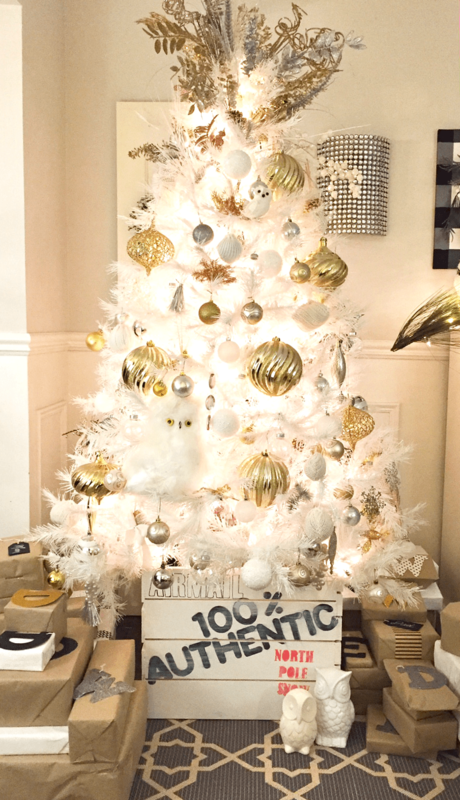 Can I reiterate how much I love your white tree! Great project! What an incredible repurpose! 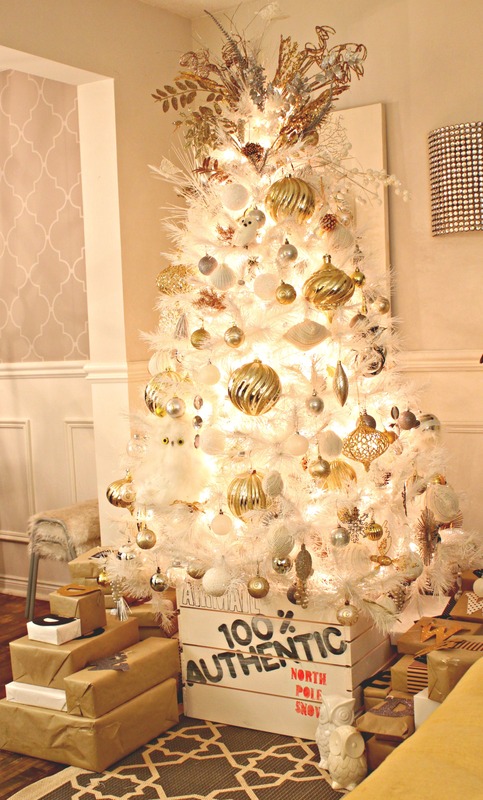 You’re so clever and your Christmas tree is gorgeous! I’ll never look at an Ikea table the same again. Great flip!!! Thank you Robin. 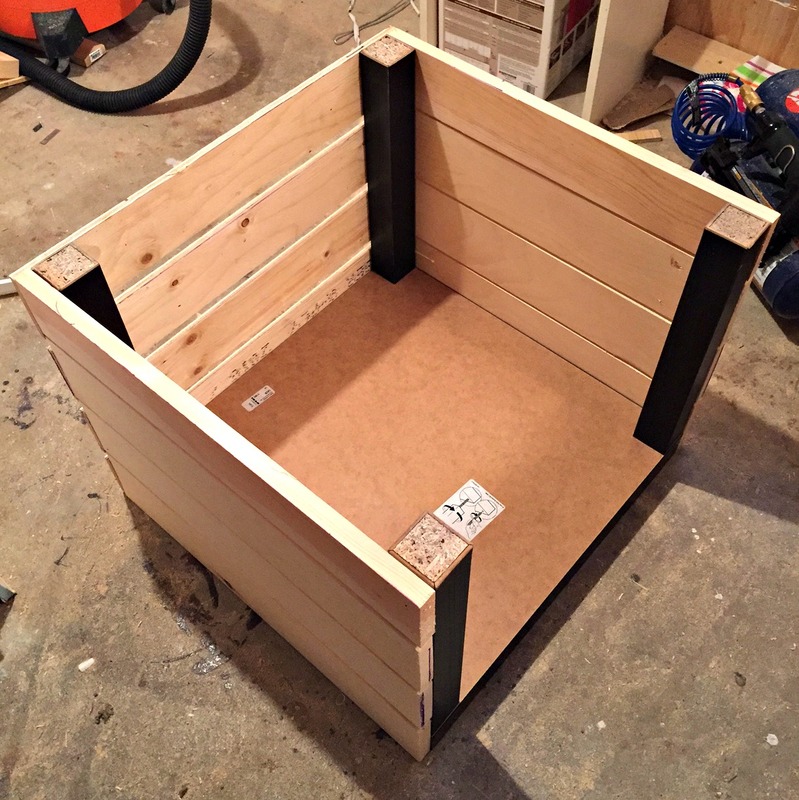 I threw around the idea of making my own crate, but decided it would be way easier to just add the wood slats. Merry Christmas my friend.